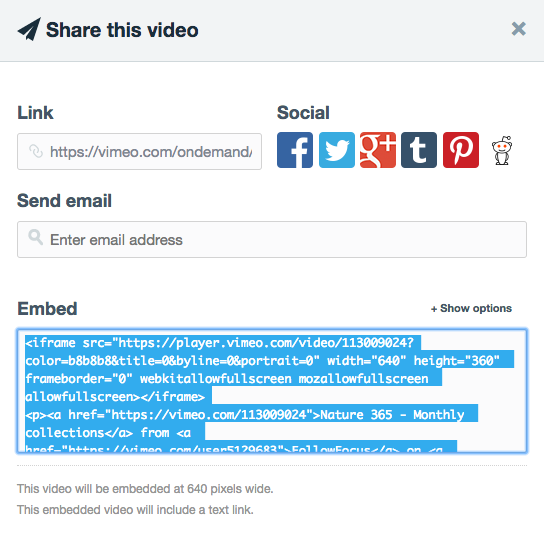 Integrating Vimeo is straight forward using External Modules. 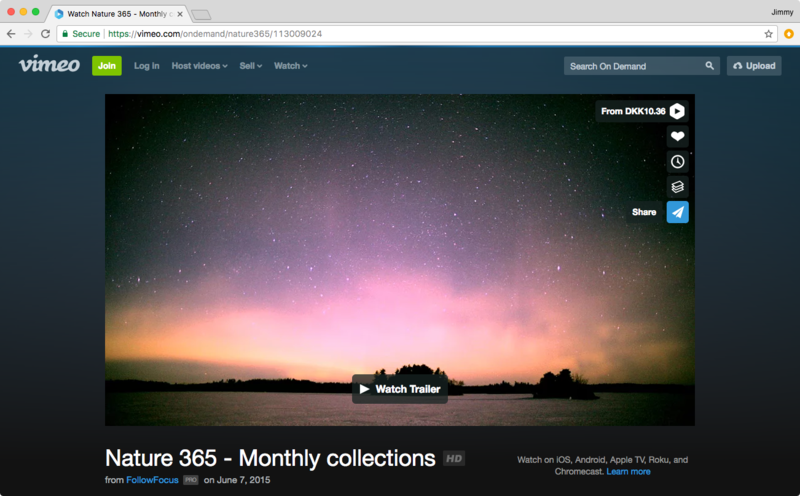 First, navigate to vimeo.com and find the video you want to add to your website. Click the Share button in the right side of the video player as shown in the screenshot below. A dialog opens. Click "+ Show options" to tweak the video player settings and then copy the code in the Embed section (highlighted in the image below). Go to External Modules in Sitemagic CMS. Enter a title such as "Video - commercial" in the Module name field, and insert/paste the iFrame code into the URL address / iFrame code field. Sitemagic CMS will now automatically configure the rest for you, and gives you a preview of the new module. When you are satisfied, simply click the Create button. To insert the module into a page, open a page for editing, and use the Page Extension button to insert the newly created "Video - commercial" module.